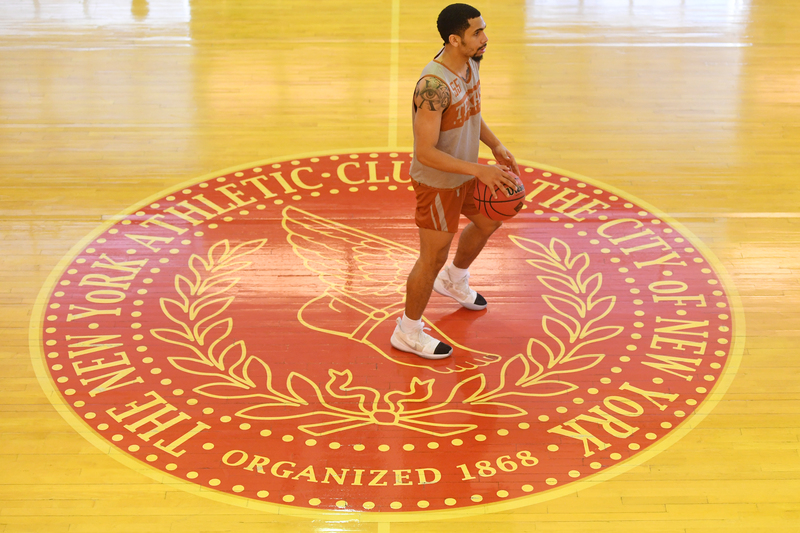 AUSTIN – Three weeks ago, if someone told you that the Texas men's basketball team would still be playing meaningful games in the month of April, you likely would have questioned their mental stability. Now, if that same person told you that the Longhorns would be battling TCU, their Big 12 Conference rival, in New York City for the chance to play for a national title, well…it might have been time to be running as far and as fast away from that person as possible. But here we are, the first week in April, and the 'Horns and the Horned Frogs are set to square off on Tuesday in the semifinals of the National Invitational Tournament in Madison Square Garden in the Big Apple. 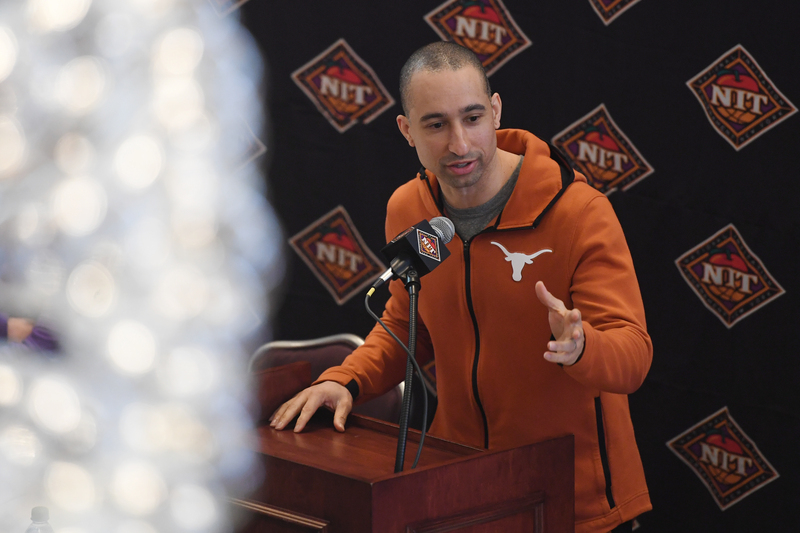 “If the motivation isn’t there at this time of year to play a conference opponent that beat us two times this year, then whoever that is needs a lobotomy,” Texas coach Shaka Smart said. The winner of that dustup – the one that defied imagination (or even sanity) on March 14 after both teams lost in the quarterfinals of the Big 12 tournament – will play either Lipscomb or Wichita State for the NIT title on Thursday night. Texas (19-16) is two wins away from capturing a postseason tournament, albeit one that plays a distant second fiddle to the NCAAs. But to get to that stage, the Longhorns have to beat TCU, a team that handled Texas twice this year and that, unlike the Bevos, had a legitimate beef with not being chosen for the Big Dance. The Longhorns headed to New York after dominating Colorado 68-55 in the NIT quarterfinals on March 27, posting their third win in the tourney (all at home), and by far their easiest. 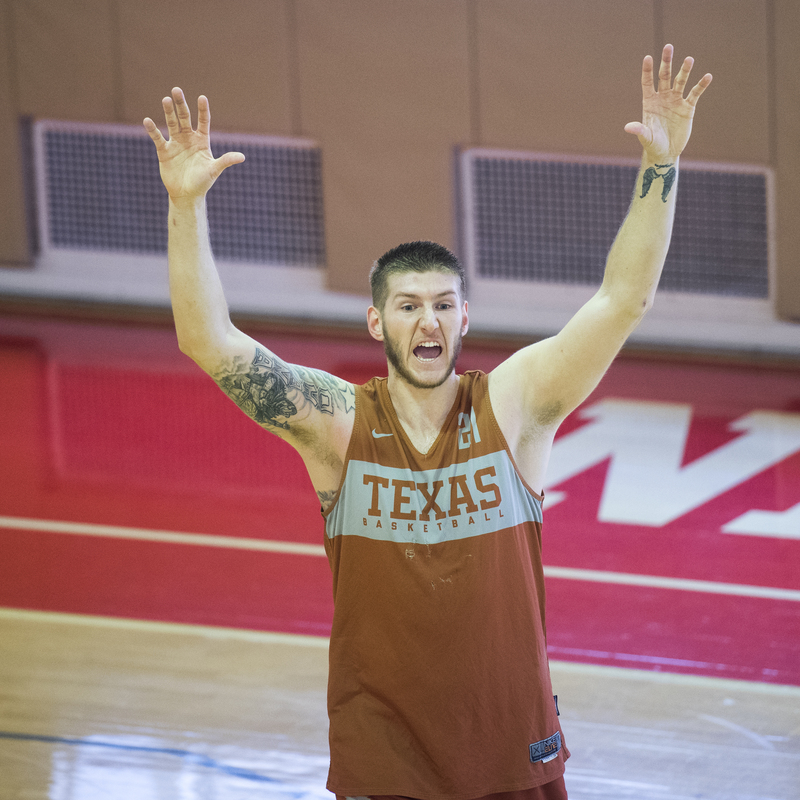 Dylan Osetkowski and the Longhorns are happy to still be playing hoops, searching for an NIT title this week in New York City (Photo courtesy of Texas Sports). Texas raced out to a 44-19 halftime advantage in the victory and cruised home, with the 25-point lead the second-largest halftime margin of the year for the Longhorns (56-30 vs. Grand Canyon on Dec. 15). The Longhorns were paced in the win by their two seniors, as forward Dylan Osetkowski led the team with 15 points, 13 of which came in the first half, and Roach II added 14. Guards Matt Coleman III and Courtney Ramey scored 11 points each in the win over Colorado and forward Jericho Sims took a season-high 10 rebounds. Roach and Osetkowksi have led the way in Texas’ three wins in the NIT. Roach has averaged a team-best 15.7 points per game, with 5.0 rebounds per outing and 4.3 assists per contest while Osetkowski has averaged 15.3 points per game on 56.7 percent shooting from the floor. Elijah Mitrou-Long and the Longhorns face TCU Tuesday for the right to play in the NIT title game Thursday (Photo courtesy of Texas Sports). The Horned Frogs (23-13), which won the NIT championship two years ago, have already started hearing the chatter about how difficult it is for one team to beat the same opponent three times in the same season. It’s a feat TCU has never accomplished against the Longhorns; Texas has defeated the Horned Frogs thrice in the same campaign four times in the series history that dates back to the 1914-15 season. TCU whipped the Longhorns 69-55 in Austin on March 9 in the two teams’ regular-season finale – but Roach was in the last game of a five-game suspension in that game and not available.